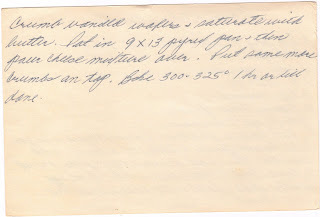 Since this recipe box has come into my possession, I’ve often wondered about its previous owner. Who was she? What was her favorite recipe? Why was the box sold at an antique show instead of being passed on to a family member? This month, I am going to answer those questions, even if the answers are only my imagination. 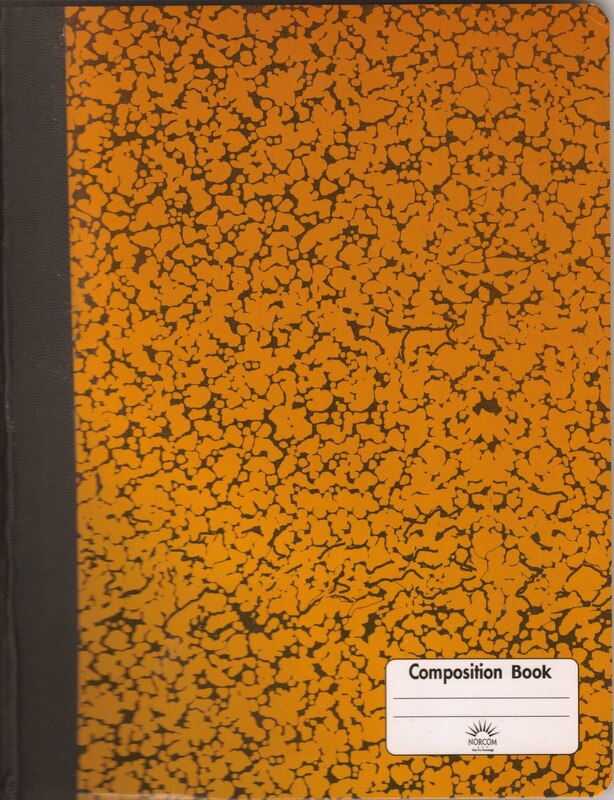 I am a member of the Visual Journaling Collective at the Minnesota Center for Book Arts. 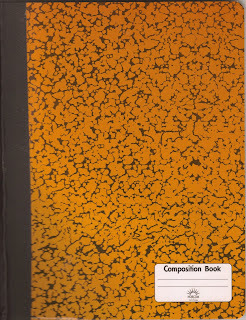 The organizer of the group, Roz Stendahl, is also the creator of International Fake Journal Month. What that means is that for the month of April, you keep a “fake” journal. Create a character, write stories about that person’s adventures, draw from his/her perspective, and live in someone else’s life for a month. You never know where it can lead. A story that a woman started last year turned into a book and is now in the process of being published! April is also National Poetry Month and NaPoWriMo. The later was created to honor the former and is a challenge to write one poem everyday for the month of April. April is going to be a busy month, because I’ll be taking on both of these challenges. I did this last year also, but wasn’t able to truly put my heart into it. I had recently lost my job and thought these projects would give me something positive to work toward, but early in April, my grandfather became sick and I traveled with my parents to Florida to help take care of him and my grandmother. We were there for about two weeks then needed to come home to take care of some things, but planned on heading back down. I was only back in Minnesota for about a day when I got the call that my grandfather had passed away. The next morning I was on a plane to go down for the funeral and ended up staying another two weeks to help my grandmother. Needless to say, I just didn’t have much mental energy to spend on creating a character for a journal or writing a poem everyday. Somehow, I did see both projects through to the end of the month, but this year I look forward to enjoying them a little more. And I have big plans for my fake journal. 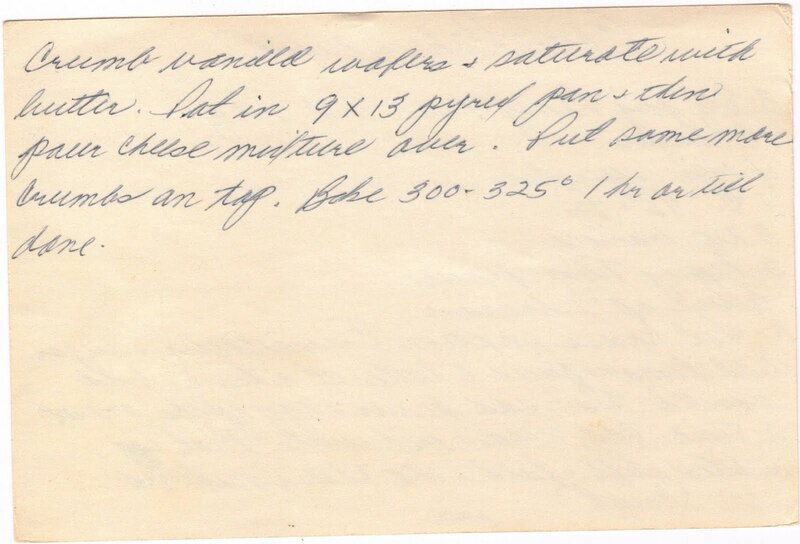 Like I said, it’s time to start learning more about the previous owner of the recipe box. So, for the month of April, I will be keeping a journal from her perspective. I’ve already concluded a few things about her: she liked to entertain and when invited to parties, she always offered to bring dessert. As I’ve said before, she was a woman of my own heart and had an insatiable sweet tooth. But I don’t think the similarities end there. I have felt strongly connected to this box and perhaps that is because I am more like the woman who filled it than I ever imagined. Hopefully over the course of the next month, I’ll be able to put some more of the pieces together and eventually even put a name and a face to this mysterious woman. 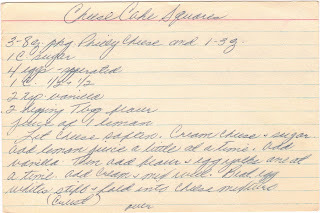 In her honor, I began the first day of the month with a recipe I believe she would have chosen for a festive event: Cheesecake Squares. And I shared them with people who also consider April a special month: my poetry group. The weather in Minnesota has been incredible – a snowless March, 80 degree temps today – and this cheesecake matched it well. It is light and fluffy with just a hint of fresh lemon, it tastes like summer sunshine. And it got a thumbs up from everyone in the group, in fact, they even made a special request that I make it again. I told them that when raspberries are cheaper than $5 for a tiny container, I’ll make the cheesecake and serve it with fresh fruit. That is the only topping that would complete this dessert; I think anything else would take away from its airy freshness (that’s saying a lot coming from someone who thinks that chocolate goes with everything). To the woman who owned The Found Recipe Box before me: thank you. I never could have done this without you. It has been an incredible journey and I’ve had you in my heart every step of the way. can't wait to see it in a store and say "i knew her when..."
I can't wait to hear about the woman behind the Box. I love reading the recipes and hearing about your stories in making the recipes you are trying from the box. Thanks for the Journey Molly. 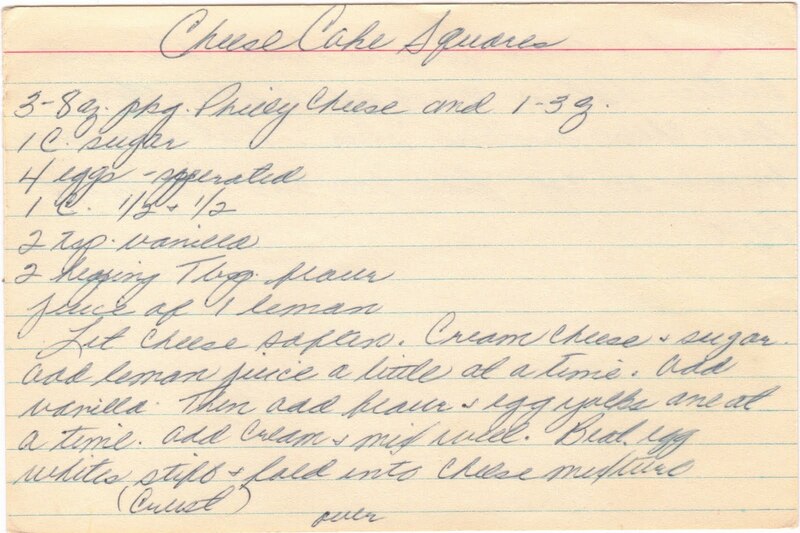 I might just have to make this Cheese Cake for Easter Dinner.